The eye often grasps much more than words can express. Exposed to the diversity of this sculptural landscape, the perception soon leans towards an indefinite state of mind well captured in a foggy autumnal landscape. This very photograph marks the beginning of a long-term design process focusing on something profoundly horizontal: the mossy trunk of a dead fallen tree. Out of focus a sublime vertical of young birch trees grows up towards an infinite milky sky. We look at a classical still life, a nature morte. Here things are no longer what they used to be – and not quite yet what they might become. 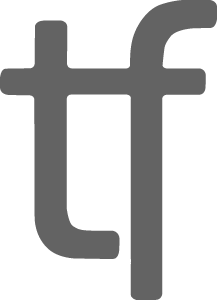 This classic time loop becomes the artistic matrix behind FixingNature: it’s the classic of a Trojan code implementing perpetual transformation – along with a particular beauty that clearly roots in repetition. At first glance the beginning seems simple. FixingNature investigates what a split up tree trunk and young fragile twigs, combined with older branches, might have to offer. Their natural designs and gravity patterns, prominently featured in Arik Levy’s most recent body of sculptural still life, re-surface in a dense sequence of sculptural gestures. Arik’s delicate assemblages prompt the sublime rhetoric of Japanese Haiku poems1 transformed from wooden debris: he recycles, replicates, inverts, reassembles, transforms and alters nature’s birthmarks inscribed in a wooden morphology. All this bears traces of natural micro and bio history, all this is about minerals, water and sun growing together a tree. Swinging an ax over your head is not exactly what you would call an inviting gesture: but a careful reading of the artist’s body language in this sequence of stills reveals the fundamental gestures of nature worship – an almost forgotten archetype. We have to bend down when harvesting, or searching for food or cutting a tree for habitat; anyone will find themselves on their knees when planting a seed or a tree. And it seems worth noticing, that the artist actually avoids cutting a living tree: his ax swings down vertically cutting a fallen tree. Swinging the axe horizontally to fell an upright, still living tree would have sent a different message. Equally significant is Levy’s sculptural installation with a variety of violent axes melting their cutting blades away, hence converting weapons into harmless tools. The delicate beauty of Levy’s white plaster bound bundles reminds us, in some aspects, about the ancient Fasces symbolizing Rome’s collective power and jurisdiction, with power of life and death. The Fasces were much thicker bundles of standard birch rods tied together with red ribbon, usually surrounding a tied-in axe with its blade emerging. Naturally, the symbolic content of the Fasces – unity makes strength – has a completely different meaning in Levy’s still life bundles of tiny twigs, imperfect branches and rods. In contrast with the static and intimidating Fasces, Levy presents a multitude of subsequent options to look at his dormant, still living bundles. Here the multilayered matrix of FixingNature emerges in a calming image of togetherness. Plaster – by definition a liquid adhesive substance spread on fabric for application to the skin. Hardening upon application it often contains some balm or medication. Levy uses medical bandages saturated with plaster of Paris, from the ancient Greek plasma – can be anything formed and is sculptures or healing bone structures by immobilizing the broken body parts. Levy’s typically used for the modeling of reassembled structures seemingly assimilate most of these features. Levy engages with nature, but never competes with it. His profound design dialogue cuts deep into nature’s anatomy. His visual language constantly maneuvers between vertical and horizontal axis and vectors. Even the smallest piece of a broken branch tells us something about its past position on the mother-tree. Looking closer reveals a caring, feminine attention for the smallest details, typical when working on miniatures and mandatory for good jewelry. Levy picked minimalist forms treating all fragments with an amazing respect: their natural end informs about their beginning. He is certainly aware of the amazing synergies between light and gravitational forces controlling all matter in the universe: gravity shapes the universe as much as it controls all shapes in nature and bending light and time make it a powerful and omnipresent master tool. Biology has proven the sculpting effects of light and gravity that affect the shape of the trunk, the branches, the leaves, and the silhouette of every single tree. In FixingNature the point of gravity becomes key, there is nothing accidental about the balance and spatial positioning of every single piece. The photographic language Arik Levy applies presenting his works as flatware in a book makes it quite clear, that these sculptural shapes may transform again with every new positioning in space, and reinforces the idea of viewing FixingNature as a unique study collection. Levy’s sculptural creativity replicates in many ways the collaborative capacity of gravity and photosynthesis to make any piece of wood unique. It seems that all these sculptures transform as much as nature changes with the seasonal cycles. In FixingNature we may look sometimes at the same sculptured branch while its material transforms. Liquefied and casted in bronze we discover the birthmarks of heat and the sublime variations of the finishing patinas. These new interfaces seem to remember nature’s rich variations of green and some of them remind the ashes of black carbonized wood. Turning finally towards petrification, the same branch has been scanned and cut out of stone; it’s kind of wooden again but hibernating now in the wintery whiteness of marble. The methods that Levy applies to fix nature could be easily envisioned as a sculptural way of pruning, a common practice in vineyards and fruit orchards to trick nature and to assure a healthy harvest and surprising aromas to our taste. Some of these magic features already accompanied the evolution of Levy’s art, and master in particular his crystalline works. The opposition between crystal and flame seems particularly significant for the artist’s studio practice. 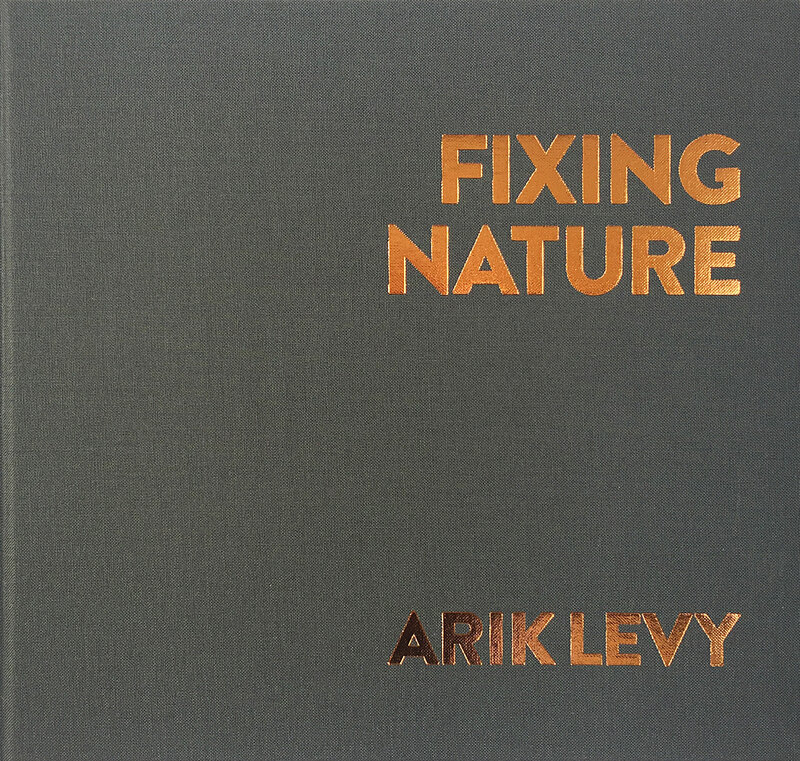 Arik Levy sees fire “as a contradiction between construction and deconstruction, burning and dying, cooking food and making love”. But fire is also one of the four F in psychoanalysis: Fire, Food, Family and Fertility. All of this interlinks however very differently with his current work. Italian writer Italo Calvino spans exactitude between the crystal (invariance of specific structures) and the flame (constancy of external forms in spite of relentless internal agitation). We find his conclusions mirrored in a beautiful passage: “Crystal and flame: two forms of perfect beauty that we cannot tear our eyes away from, two modes of growth in time, of expenditure of the matter surrounding them, two moral symbols, two absolutes, two categories for classifying facts and ideas, styles and feelings”. There seems to be an evolutionary set of sculptural algorithms with unlimited transformative options at Levy’s hands, developing a serious plateau of innovations. All of them reflect on the particular richness of life and death in the end. Matured over the past decade, these artistic signatures fix nature far beyond repair. In everyday life, a signature simply certifies the authenticity of a document or a work of art bearing the unique fingerprint of the artist and helps to identify his vision. But the origins of the term point us further to the signs of nature requiring knowledge about the nature of signs as reassembled in natural science. Here the potent simplicity of FixingNature becomes as challenging as its evolutionary matrix and spatial complexity. Nature as we see it, is a product of culture: as a matter of fact, nature, understood as a projection of human imagination, can be creatively manipulated and re-arranged. After all is it not a given, that any difference between nature and culture can no longer be maintained? Nature and culture seem to be the two extremities of an infinite Möbius loop where both sides are bound to become the very other. There might not be any clear traces left of the beginning – but quite certainly there is no end. 1 The Japanese Haiku is typically a three-line observation about a fleeting moment involving nature.